Posted 02/11/2016 by frontrank & filed under Uncategorized. 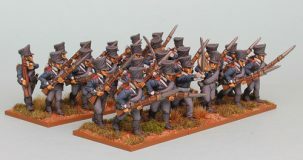 Napoleonic Prussians Landwehr are now available! 4 new Prussian Landwehr Reinforcement packs + 4 Reinforcement Sets. Posted 28/09/2016 by frontrank & filed under Uncategorized. 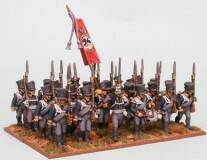 Napoleonic Prussian Reservists ~ available now! 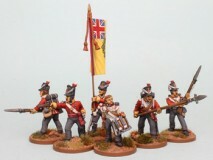 Napoleonic Prussians Reservists 1813 – 1815 are now available! 5 new Prussian Fusilier Reinforcement packs 1813 -1815 + 2 Reinforcement Sets. Posted 08/09/2016 by frontrank & filed under Uncategorized. 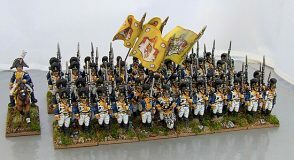 We have added a Wurttemberg gallery to our Napoleonic Gallery. The pictures have been supplied to us by Michael Heynen who has also painted our figures so beautifully. Posted 17/08/2016 by frontrank & filed under Uncategorized. 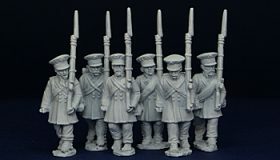 Napoleonic Prussians Fusiliers 1808 – 1815 are now available! 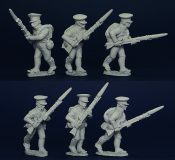 4 new Prussian Fusilier Reinforcement packs 1808 -1815 + 2 Reinforcement Sets. Our thanks to Richard Abbott who painted and photographed our new Prussians so superbly! PRUSSIAN NAPOLEONICS ~ NOW AVAILABLE! Posted 16/05/2016 by frontrank & filed under Uncategorized. For many years customers have been asking us to make Napoleonic Prussians, finally our 1st releases are now available! 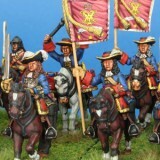 3 new Prussian Musketeer Reinforcement packs 1808 -1815 + 2 new Reinforcement Sets. Posted 16/03/2016 by frontrank & filed under Uncategorized. It has been over 2 years now since we have had a price rise, so with regret sometime during May 2016 our prices will increase. Further to our decision in August 2015 we would like to remind all our customers that we are no longer attending any War Games exhibitions including Salute. 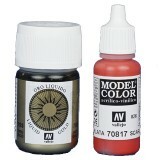 We hope that you will continue to use our mail order service. Front Rank have been attending shows for nearly 30 years, in that time our ranges have expanded to the point where due to space restrictions etc., we were unable to bring many ranges with us to shows, this and the logistics of organizing and attending shows has made us come to the decision that as from now we will no longer attend any shows, this means we can concentrate on our mail order business.